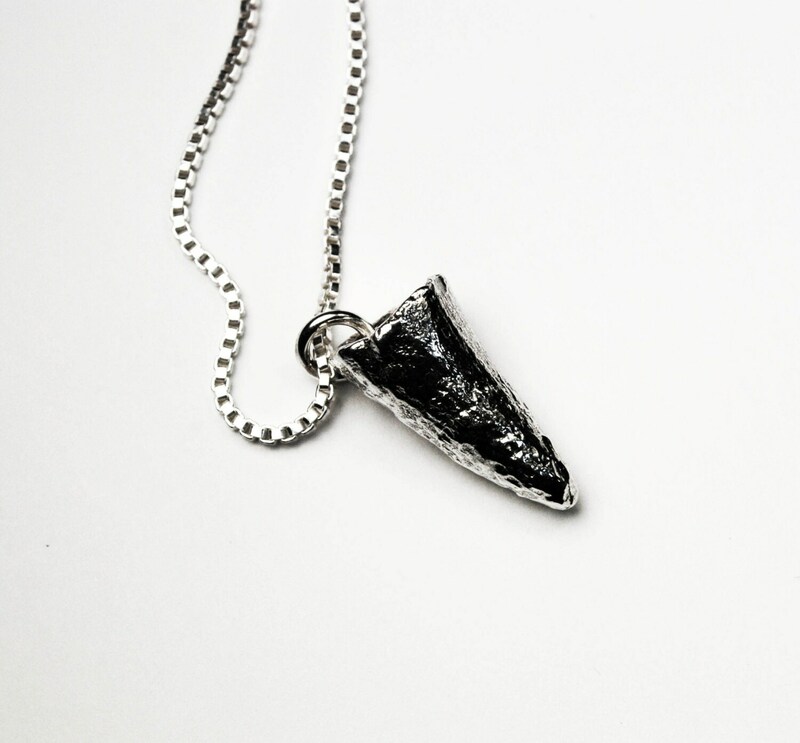 This necklace was made as a collaboration with my friend Stephanie. 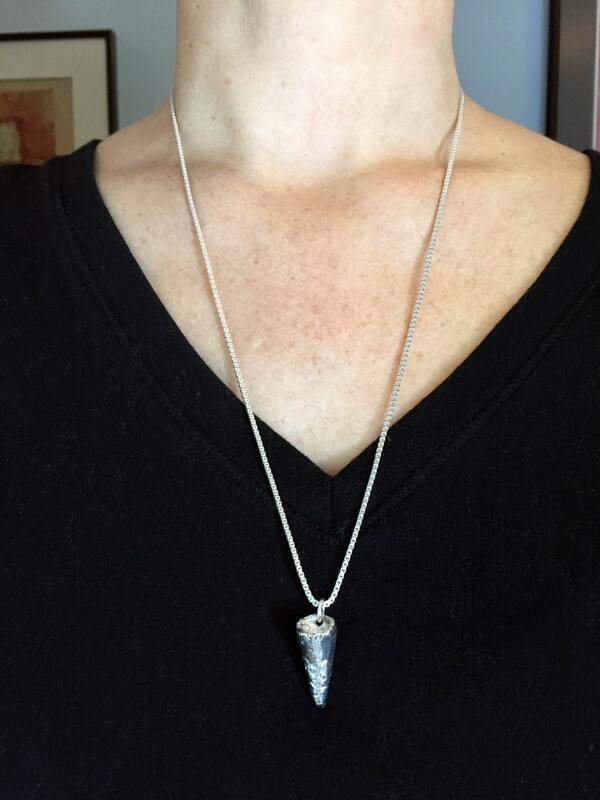 She is an avid fossil collector and has a huge collection of amazing fossilized teeth and shells. 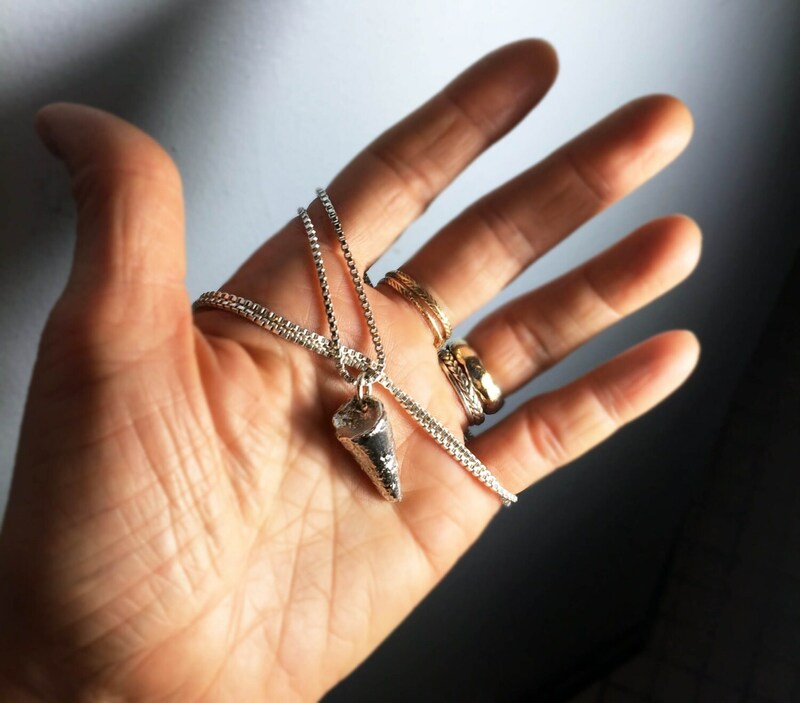 She approached me to make her some custom necklaces from several of her treasures and was kind enough to send me some truly stunning specimens to mold and cast in solid sterling silver. 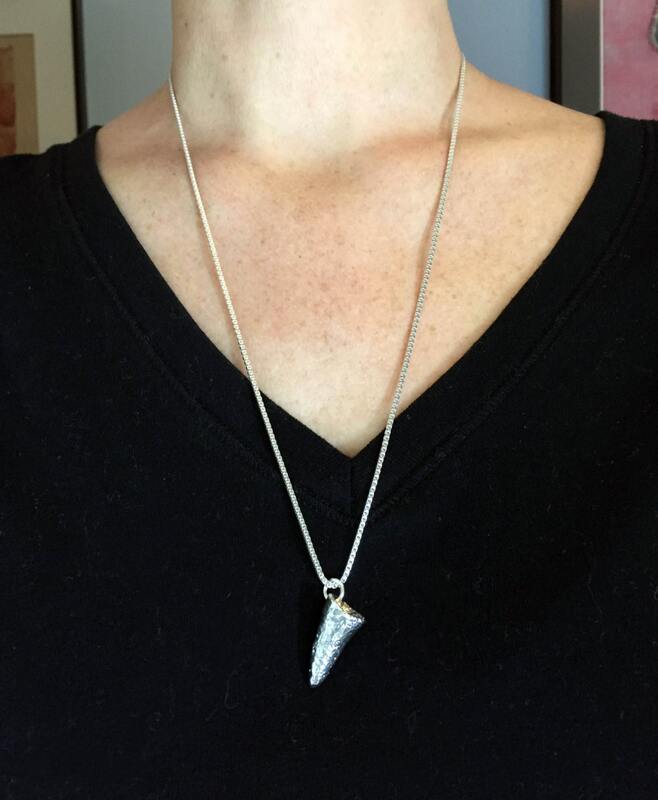 This amazing super croc tooth tip is cast in solid sterling silver and hung on a 20" (51 cm) or 24"(60.96 cm), 1.5mm wide sterling sterling venetian box chain. 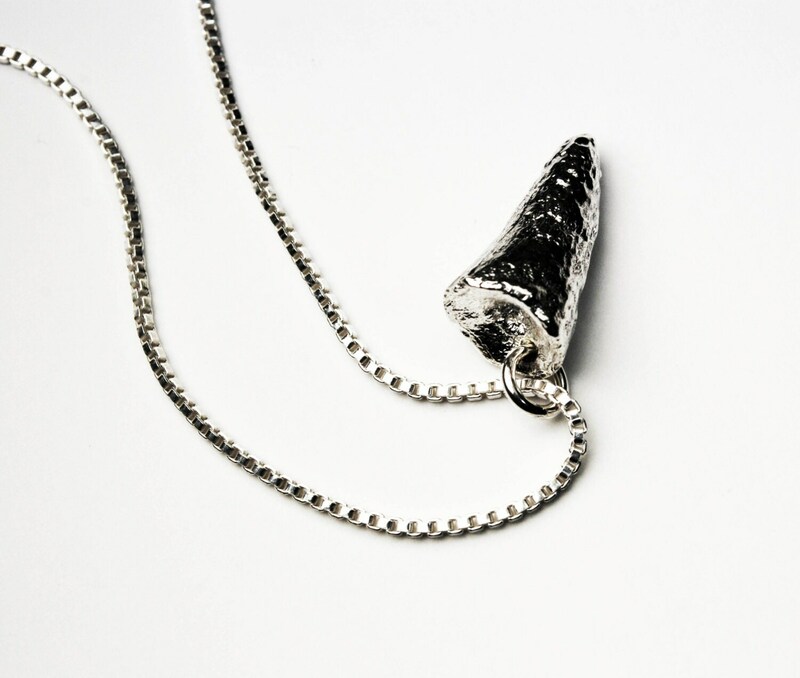 Both tooth and chain are available in white silver or partially oxidized black. The tooth measures roughly 24mm high, 10.5 mm wide and 12mm deep at thickest part. It's striking and badass! Please contact me if you would like one made with a different length chain or different combo of finishes.